I still love this picture from earlier 2015 in Union Square. It’s simple, and it’s almost too easy, but I love the textures. 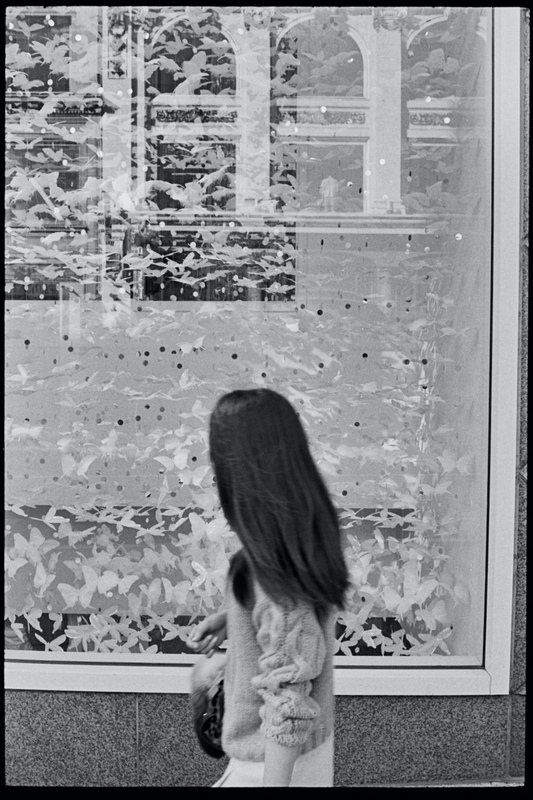 Her hair, her sweater, the butterflies in the window, the man framed in the window of the building across the street. It’s not such an absurd picture, just a nice one. Watching this documentary about William Klien earlier in the week, Klien thought it was interesting that Americans so readily play along with advertisements. That we like them and accepted them as part of popular culture. In San Francisco some of the best public art is from businesses. This window is gorgeous, facing out into the world, and sure they want to sell me something… but from this photo I have no idea what that is. So it’s not so bad.